48 inches; loose articles must be stowed in the free lockers inside Hogwarts Castle; Express Pass access and single-rider line. 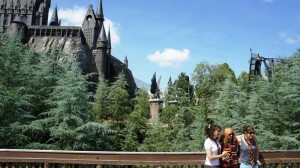 Please note that strollers are not allowed inside Hogwarts Castle. The first part of Hogsmeade’s signature attraction is a tour of Hogwarts Castle’s most iconic rooms, including Dumbledore’s office and the Defense against the Dark Arts classroom. 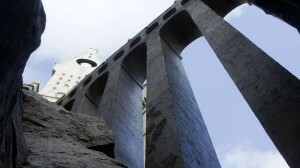 The second part of the attraction is a revolutionary flight-simulator ride that is something like a cross between Disney’s Soarin’ and Islands of Adventure’s The Amazing Adventures of Spider-Man (although this comparison hardly does Forbidden Journey justice) – if you think you can tolerate it, this ride is an absolute must! 5 out of 5. Close encounters with over-sized spiders and Dementors, and the unique ride motion, can make the ride as scary as it is amazing. You do not go completely upside down, but you go about every other direction you can think of. 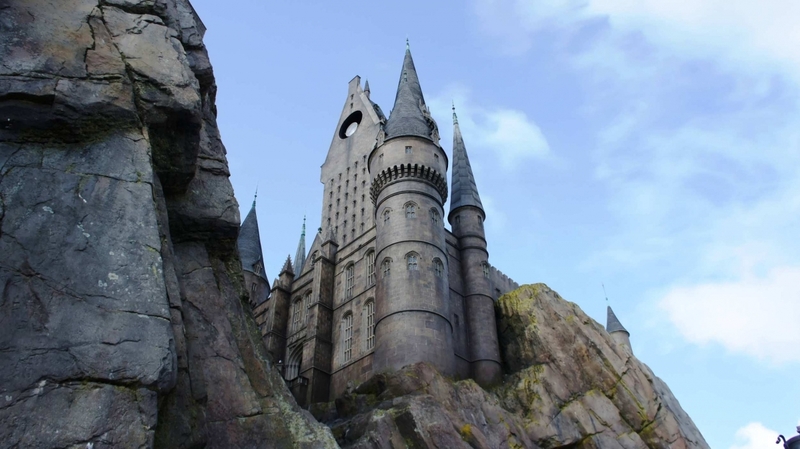 If you are prone to motion sickness, you may want to do some research online to see how other riders have coped with Forbidden Journey. 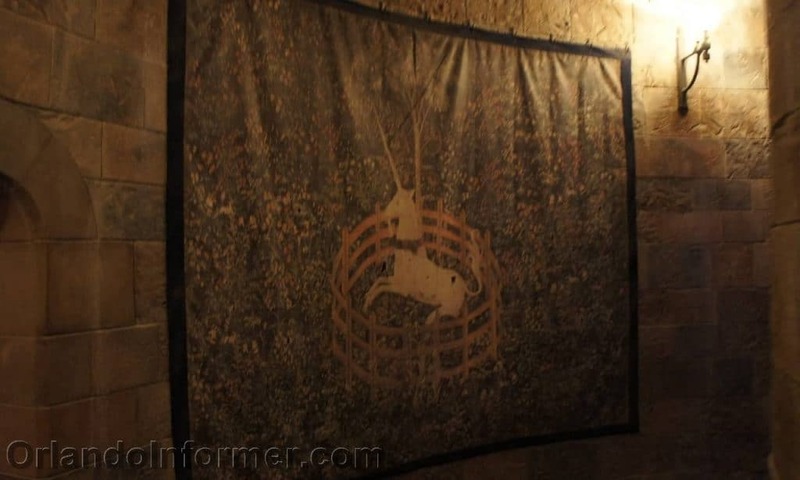 When originally designed, this ride had a lot more Dementors, such as the ones painted on the walls in UV paint that were originally going to be activated by the ride vehicles. 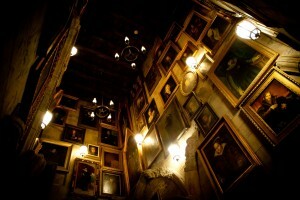 Creator JK Rowling and Warner Bros. deemed this was too scary, so the Dementors remain dormant on the walls to this day. 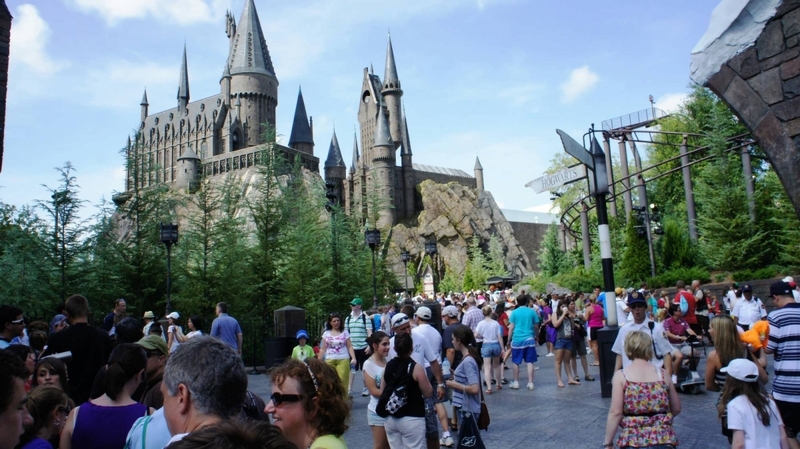 A huge appeal of Forbidden Journey is in its queue, which snakes all throughout Hogwarts Castle and which contains nearly as many Easter eggs from the books and films as does all the rest of Hogsmeade combined. It’s so gloriously detailed, we’re going to walk through it right now, step by step. 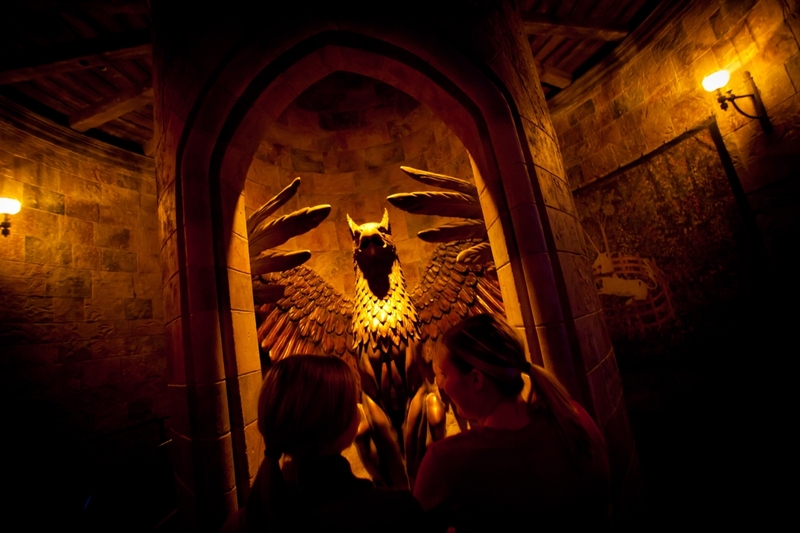 Once you’ve entered the castle and headed straight into the regular line, you walk a very short distance through a hallway meant to be the castle’s dungeon (where you can catch Professor Snape’s voice chiding Neville Longbottom). After a few steps you are back outside. Just after you exit the dungeon, you can buy pumpkin juice! 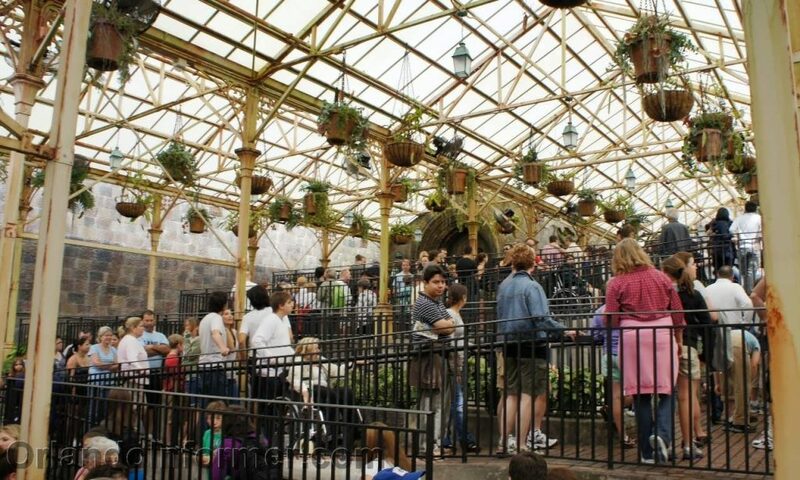 This outdoor, partially-covered area is the castle’s greenhouse. 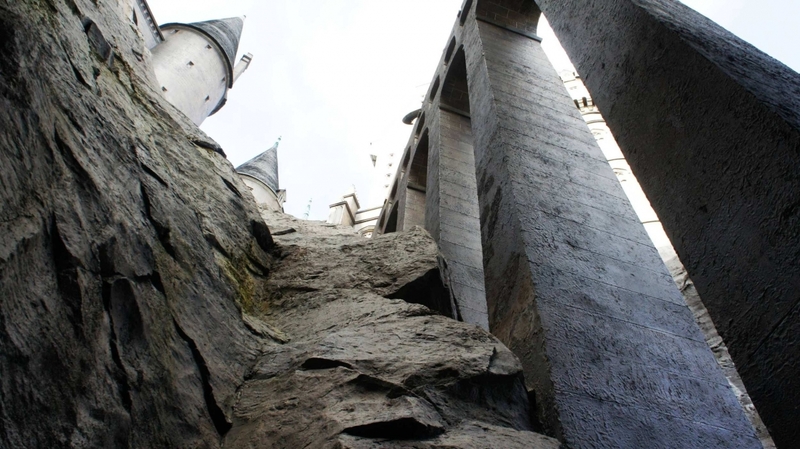 And though it’s really just a large holding area for the line to zig-zag through on its way to the castle’s backdoor, it still has some hidden details to take notice of. Keep in mind that, during the busiest times of the year, the wait in the greenhouse can be substantial. Do you see a price tag? This video was shot as I entered the castle’s back door and moved through to the talking portrait room. You can see how the line is entirely empty – and the video is blurry. 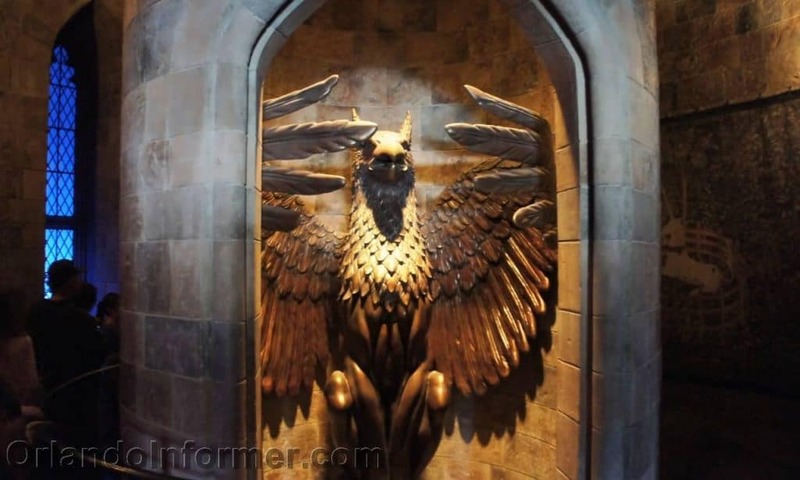 Now we enter Dumbledore’s Office. This space is crafted exquisitely well. 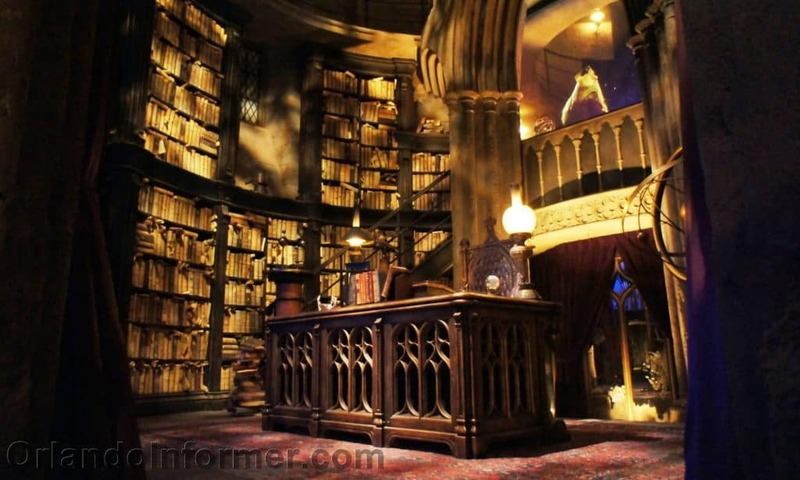 One could scarcely believe that this isn’t the professor’s real office. 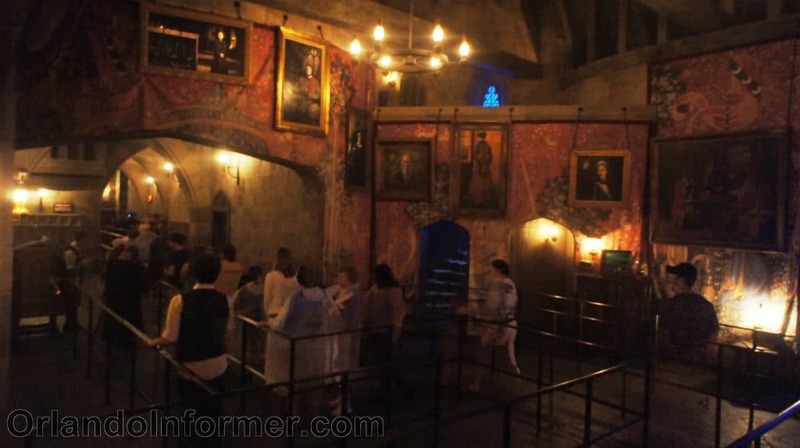 The experience in this room is also significant because it sets the anchor for the Forbidden Journey storyline. Professor Dumbledore introduces you to Hogwarts School of Witchcraft and Wizardry like you’re really on a tour. 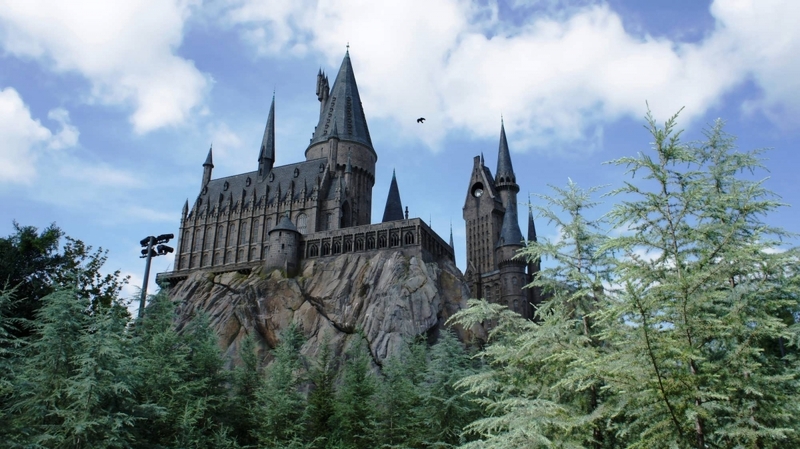 After explaining the purpose of the school – and commenting on one of its most infamous students – Dumbledore informs you that you’re heading next to the Defense against the Dark Arts Classroom. 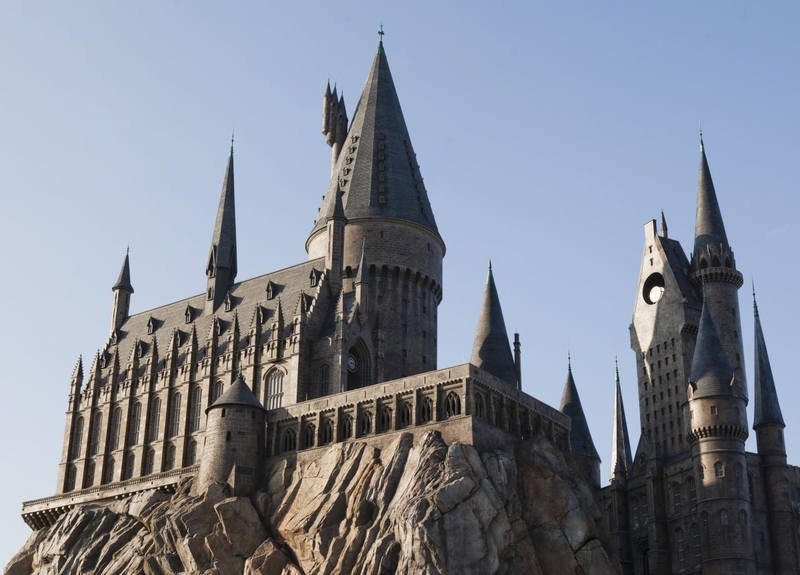 Once there, Professor Binns “will condense hundreds of years of Hogwarts history into a few short hours.” Sounds like a fun tour, huh? Now you make your way to the next stop on the tour. 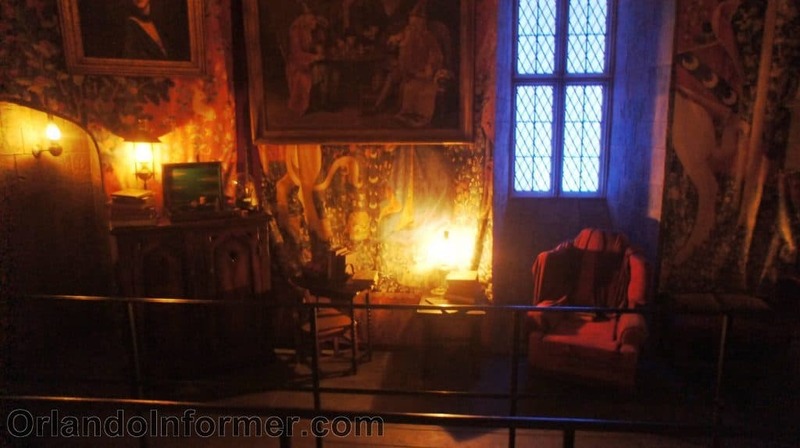 In this room, you are waiting for Professor Binns to arrive and began his Hogwarts history lecture. 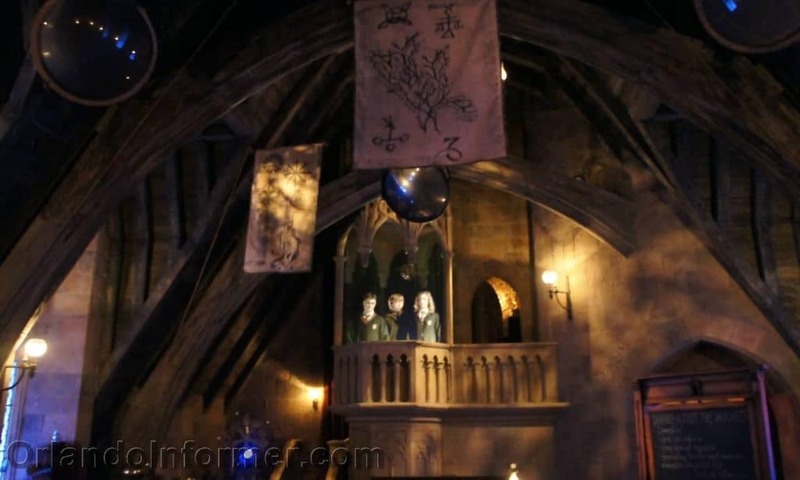 But Harry, Ron, and Hermione have different plans – they sneak into the room underneath the Cloak of Invisibility (look for the door to the right cracking open) and unveil themselves in front of everyone. Harry, Ron, and Hermione explain in their own way that Professor Binns is “very boring.” They suggest that, instead of attending the lecture, you should go to a game of Quidditch with them. You agree, of course, and they tell you to meet them in the Room of Requirement. 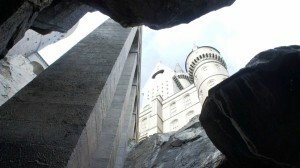 Having the new plan set, they slip back under the Cloak of Invisibility and sneak out the door. You can click here to see a second video we shot in this room. 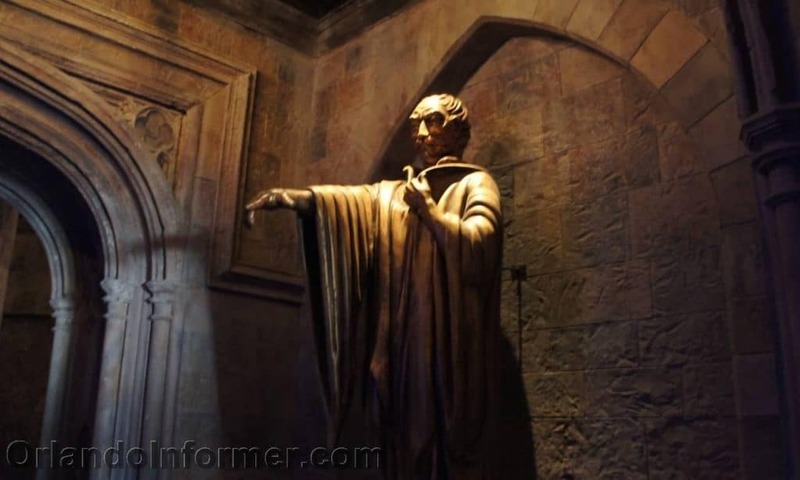 From the Defense against the Dark Arts classroom, the line moves through a small hallway. 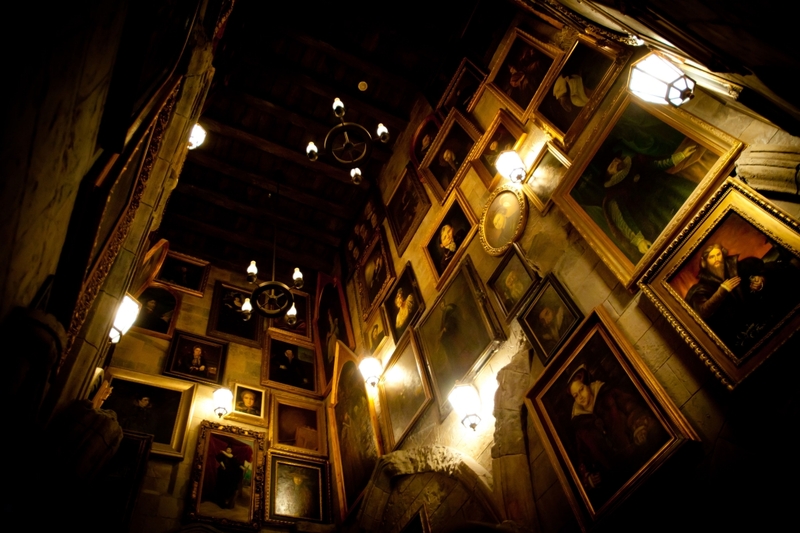 In the first part you see the Fat Lady portrait, who picks up the storyline and gets excited about the upcoming Quidditch match you’ll be attending. 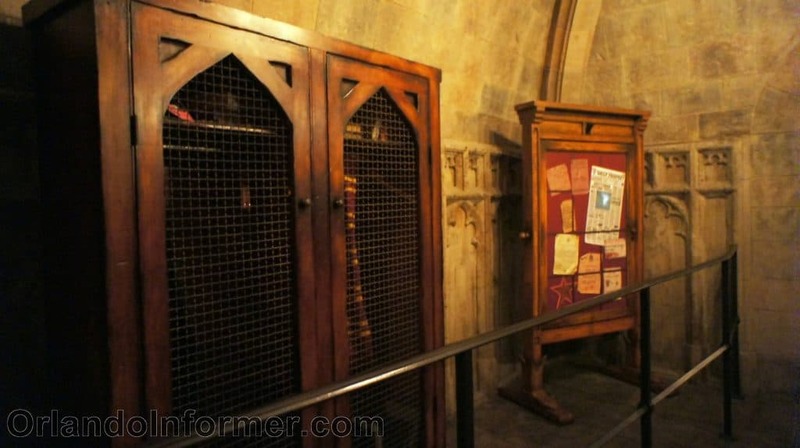 In the second part of the hallway is a cabinet filled with Quidditch supplies and a bulletin board with a copy of the Daily Prophet pinned up. 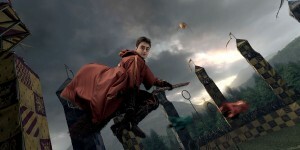 Again, the focus is on Quidditch. At the end of the hallway you enter the Gryffindor Common Room. This is probably, unfortunately, the least impressive of all of the rooms, as its purpose is more functional than thematic. There are no more characters, but the talking portraits are back, and they are chatting about the Quidditch match. Perhaps more importantly, they also start directing the conversation toward you, bringing to your attention the upcoming ride’s safety parameters. If you selected the single rider line, this is where you enter once you climb the stairs from the sorting area at the entrance to Hogwarts. As we mentioned before, the purpose of this room is more functional. Here, Universal team members will stop the lines and parse them into the final staging area for the ride. If necessary, children’s heights will be double-checked, and there is a set of test seats, as well. You are now at the final stage before the ride. The line moves down a short hallway, at the end of which is the Sorting Hat. 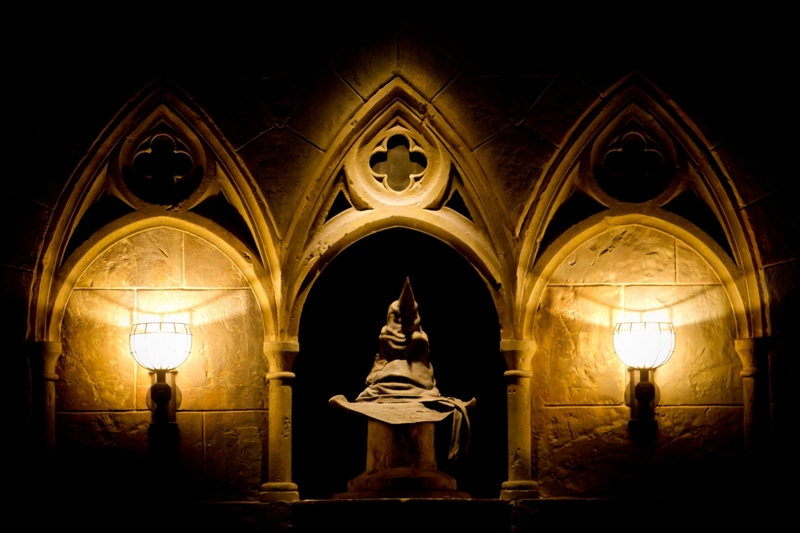 Although small compared to all the things we’ve seen up to this point, the Sorting Hat is quite remarkable. He tells you more about the ride’s safety issues. Okay, that’s not exciting, but the hat’s movements and voice are really cool. Turning to the left, past the hat, brings you just steps away from the enchanted benches. 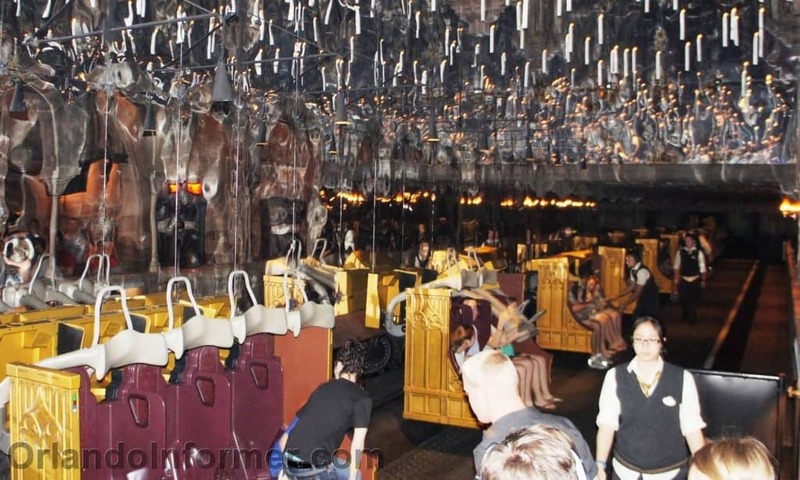 Standing in the final staging area, you wait your turn to get on the enchanted benches that will take you to Hermione in the Room of Requirement. A Universal team member is here, breaking up groups into parties of four guests. Odd-numbered parties will be joined by a single rider. What happens at this point? 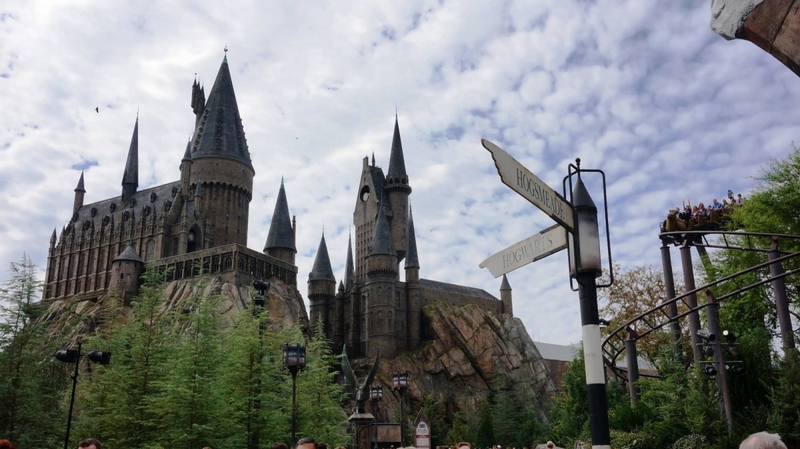 Well, our friend, we’re going to let Harry and the gang take it from here – we don’t want to ruin the entire experience for readers who haven’t been on the attraction yet. 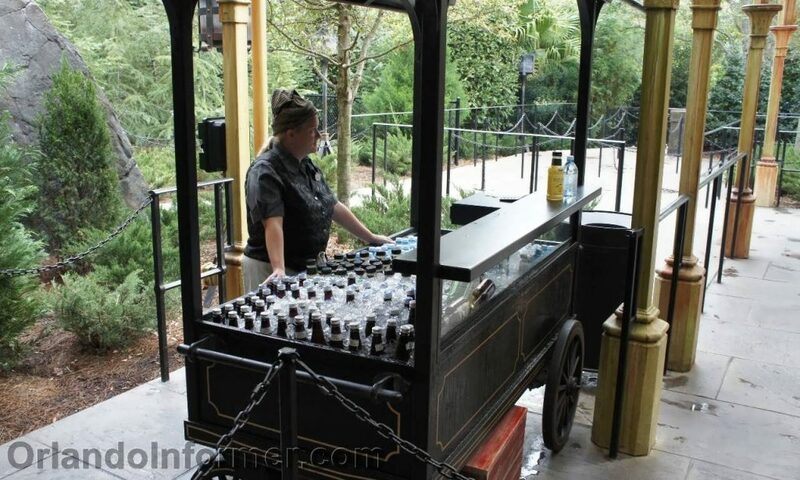 Want to know if guests like the attraction? Check out this video taken just moments after riders have unloaded from the enchanted benches. The best reactions start at about 0:40 in the video. 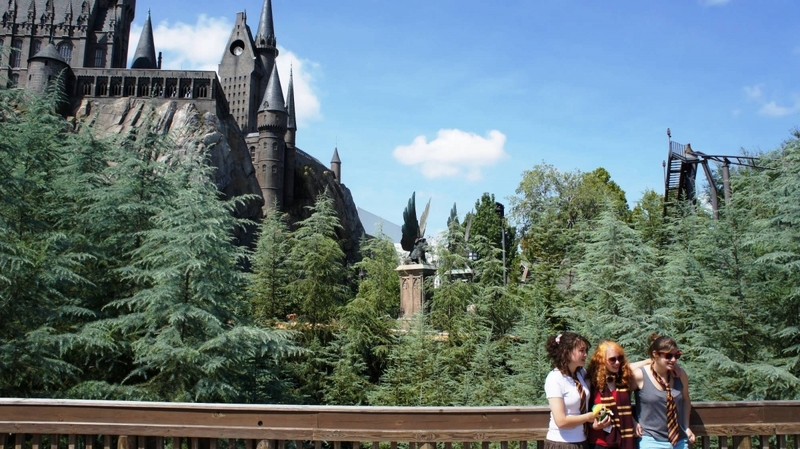 At this point, you walk down a set of stairs and into Filch’s Emporium, which is the attraction’s gift shop. 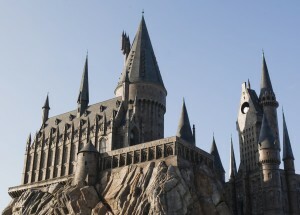 Your (forbidden) journey is over. 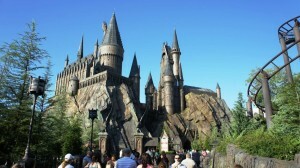 I first rode this in 2011, and as both a thrill-seeker and Potterhead, this was quite an experience. The queue is beautiful, and the ride itself is awesome. 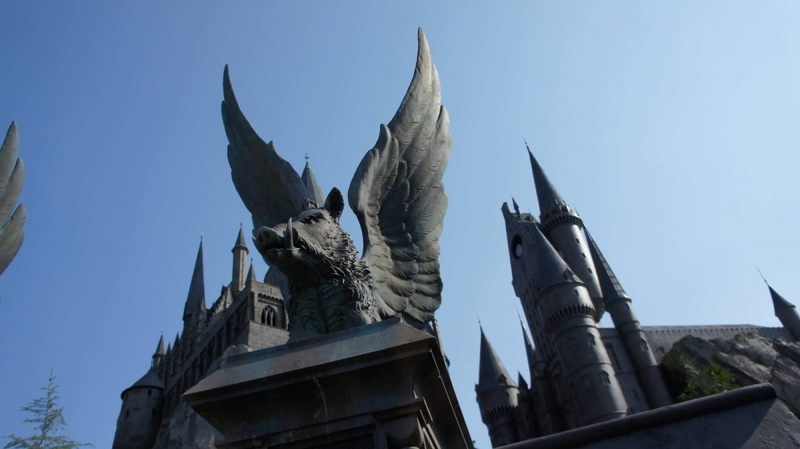 One of the best rides ever created, the Forbidden Journey is a truly unforgettable experience. Everything from the ride cue to when you first sit down is incredible. 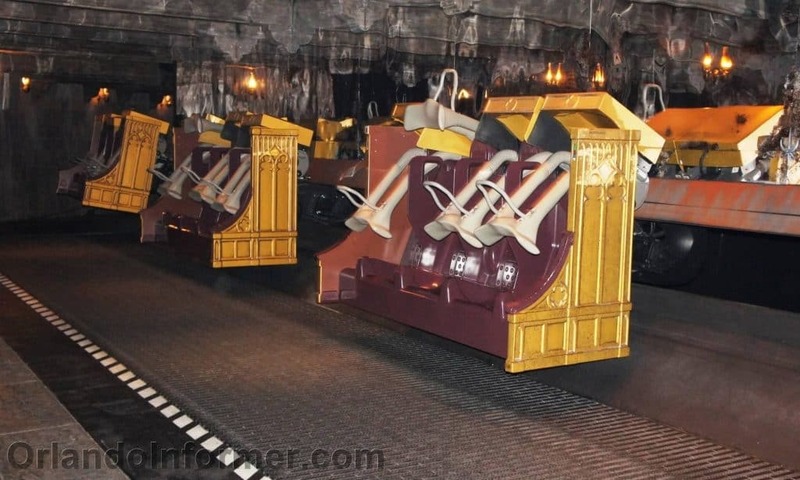 The ride system is not one used by many other big name theme park operators, making it truly unique. 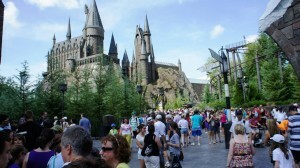 This ride manages to deliver an experience that everyone can enjoy, especially anyone who enjoys Harry Potter. Even if you aren't a Harry Potter fan, this ride is definitely a must see, as it's truly one of the greatest theme park rides ever crafted. If I could give this more than 5 stars I would. 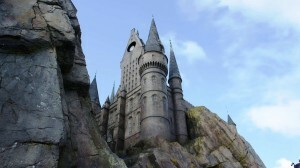 This is my absolute favorite ride at IOA...wish we could use the fast passes but it's TOTALLY worth the wait. Even if you aren't a big Harry Potter fan (whicbi am a huge nerd when it comes to HP) you must ride this ride! There isn't much I can say that hasn't already been said. The special effects are impeccable and the detail is amazing. Basically, this ride is a must (for all the reasons stated below and more!!!). I think I rode this thing 13 times... and probably could have gone 13 more HAHA!